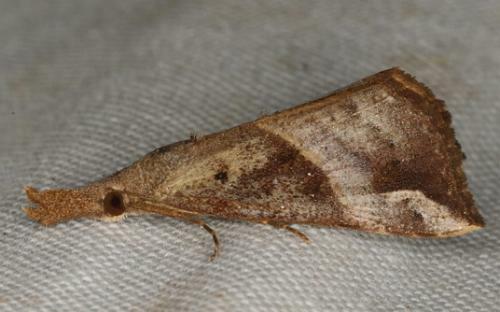 The adult moth has brown blotchy forewings, and plain brown hindwings. The forewing tips are recurved. The moth also has long labial palps which it holds porrect like a beak. The wingspan is about 3.5 cms. Volume 56 (1932), p. 186.